There are many who attend church, pay tithes, teach Sunday school, sing in the choir, worship, and tell others they know about Jesus, yet for the most part they are powerless because they do not pray. There are 168 hours in a week. You are in church roughly six hours of that time. My question to you today is what are you doing in the other 97% of your week? There are some things in life I can't do if certain things are missing. I can't mail a letter without a stamp. I can't use an ATM machine without a pin number. I can't drive my car without the key. Equally, there are some things you will never be able to do in your walk with God if you don't consistently pray. Without prayer you will never be able to truly walk in the Spirit or know you are perfectly in God's will. Without prayer you won't hear God's voice and or have His power working in your life. Psalm 91:1 says, "He that dwelleth in the secret place of the most High shall abide under the shadow of the Almighty." Psalm 91:1 has probably the most protective, broad-scope promises found in Scripture. It says if you and I will take care as to where we place ourselves, God will release 18 divine protections. But it is all conditional on the first verse. The protections and benefits flow from a decision of placement. Each of us have a public relationship with God, and that is good. But there is something deeper when we lock ourselves away in a private place with the Lord. It is there that you don't have to be a pastor, a youth leader, a mom, or dad - you just get to be God's child. Where have you placed yourself of late? Where are your spending the other 97% of your time? Be encouraged! A great thing about prayer is you are ONE CHOICE away from doing things differently. Take time this week to lock yourself away in a secret place with God. His Word promises He will meet you there. When you become a faithful person of prayer God will begin using you in a much greater way. 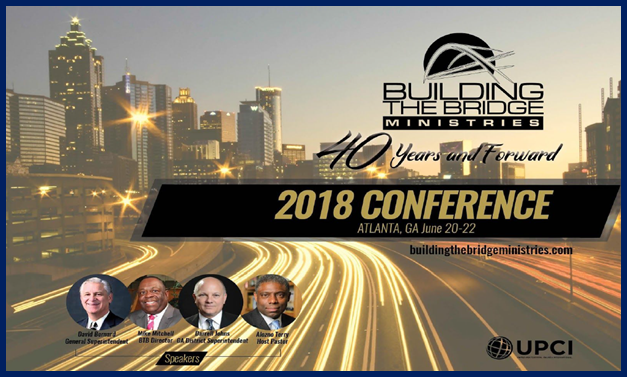 The 2018 UPCI National Building the Bridge Conference will convene at Solid Rock Pentecostal Church in College Park, Georgia, with host Pastor Alonzo Terry, on June 20-22, 2018, led by Director Mike Mitchell. The ministry's vision is "To provide resources and training for the UPCI in reaching the African-American community and increasing urban evangelism while facilitating successful cross-cultural assimilation into the church." The event theme is "40 Years and Forward. "Bridges provide connection points between cities and states, all which lead to a multicultural society. Building the Bridge Ministries is designed to present tools and resources that aid in creating diverse congregations, exploring evangelistic challenges, understanding the current culture, empowering young leaders, etc. 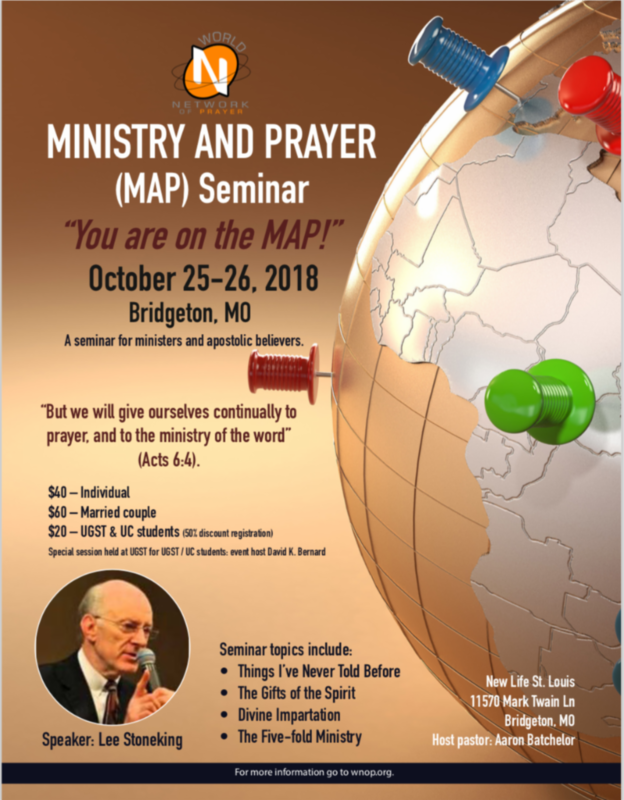 Join us in prayer and fastingfor the continual great success of this ministry, and for the upcoming conference that will be...DYNAMIC, ANOINTED, and POWERFUL! Pray for Director Mike Mitchell and all Building the Bridge Ministries leadership and staff, including all involved in this ministry. Pray for the success of this event and that God's divine will be accomplished in all services, break-out sessions, and special meetings. Pray that the church would be equipped in a greater way to evangelize the African-American community, including all other nationalities. Pray that God would bless all topical focuses of the conference. Pray that all speakers and conference participants are greatly anointed to minister effectively to those present, and that specific existing needs would be met. Pray that attendees would obtain a greater burden and vision to reach the lost, and leave the conference further renewed and greatly empowered to do a mighty work in the kingdom of God. 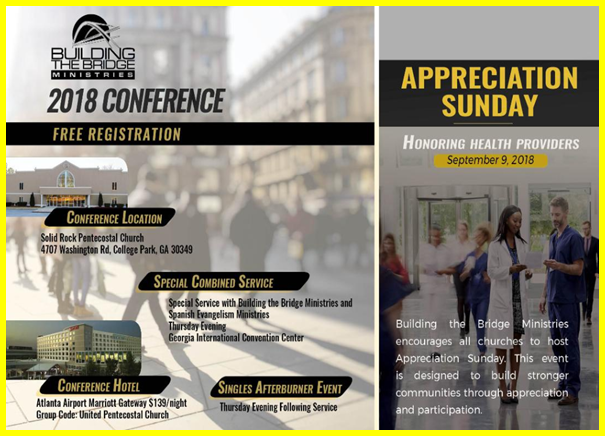 Pray that the blessings of God would rest upon those involved in Building the Bridge Ministries and upon those in attendance at this grand event. 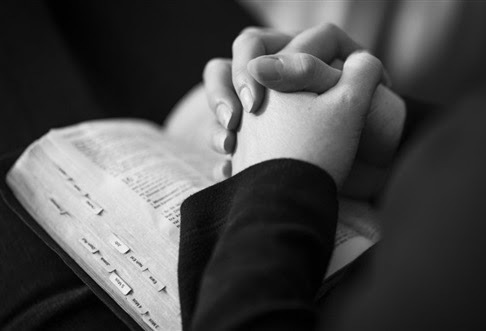 Pray against any negating circumstances or issues which are aggressively attacking all various diverse communities in North America. Pray for a great outpouring of God's Spirit, and for other specific areas as directed by the Spirit. Pray for miracles, signs, and wonders and for unprecedentedrevival and harvest in the African-American community and all diverse communities worldwide! Pray for upcoming preparations and the success of "Appreciation Sunday," which will convene September 8, 2018, and will focus on Honoring Health Providers. 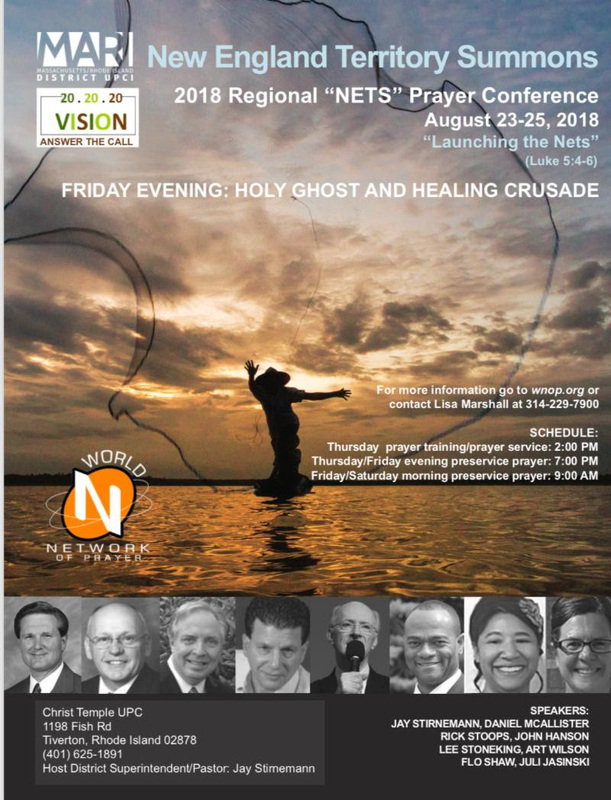 Join the World Network of Prayer and Global Missions in praying for the 22 nations that are considered access challenged and difficult to get into. We will focus on one nation each week. The International Summons was a great success. A full report will be in the Prayer Connect next week. This week, please send lmarshall@upci.org a quote of how the Summons personally impacted you. Pray for an end to the food crisis in Burundi. A battle for Yemen's main port city of Hodeidah began on Wednesday, putting hundreds of thousands at risk. The port is a major lifeline for humanitarian aid to enter the country. 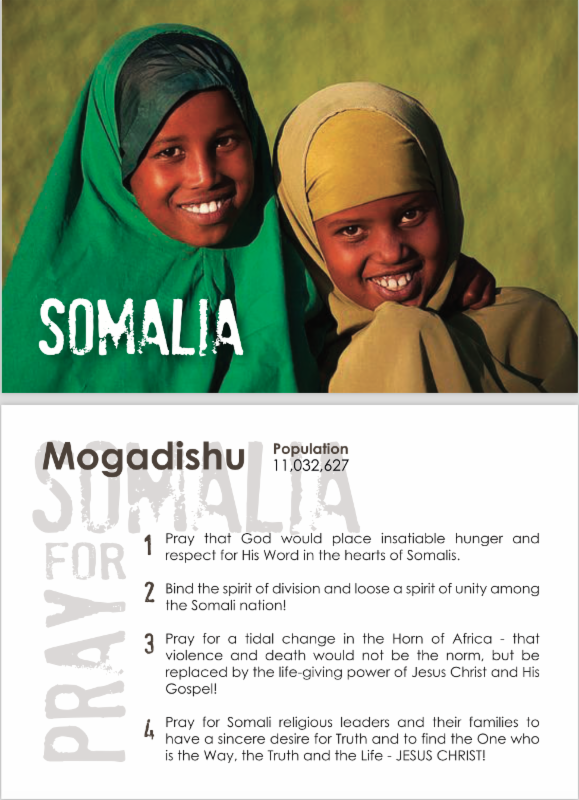 Please pray for a swift and peaceful resolution and for God's protection over the citizens, many of which are in dire need of food an aid. Pray for refugees in Bangladesh. The monsoon rains have begun to fall, and the camps are very vulnerable to floods and mudslides. With the start of the World Cup, concerns are being raised about the trafficking of women and children, which increases massively at the time of large sporting events. Pray for the authorities and organizations working to prevent this crime and ask for God's protection over the vulnerable. To join WNOP in praying for the personal needs submitted by email, phone and website, please click here. 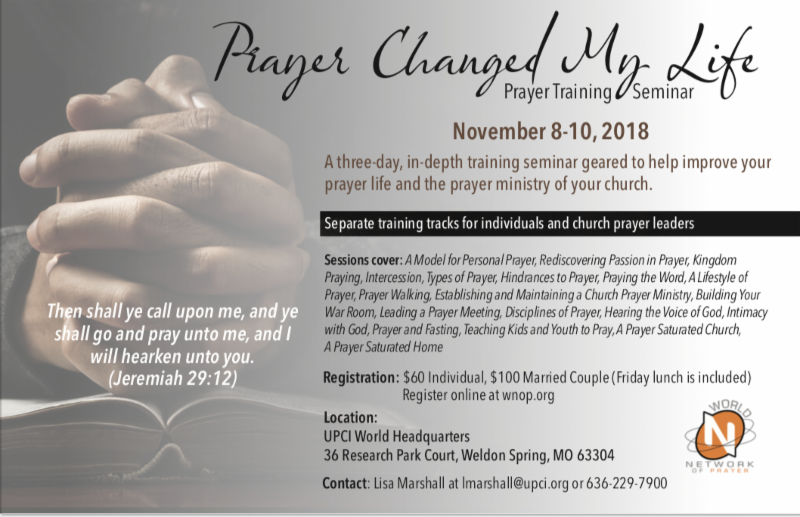 You may submit requests by email at pray@wnop.org.